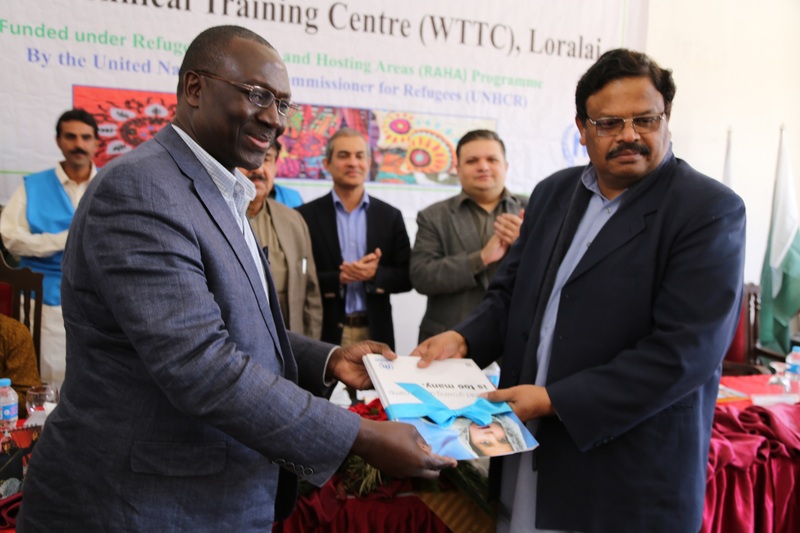 Quetta: Empowering youth through education and skills development is key to stability and sustainable development, said UNHCR’s Assistant High Commissioner Mr. George Okoth-Obbo while speaking at the inauguration ceremony of the Women Technical Training Centre in Loralai district in Balochistan. 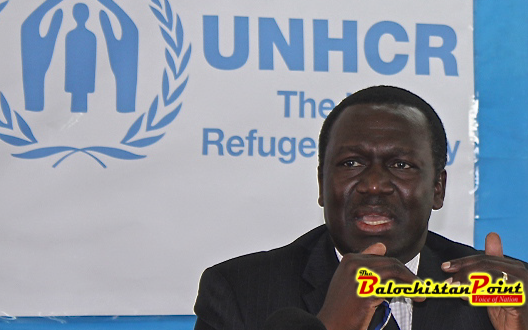 UNHCR’s Assistant High Commissioner Mr. George Okoth-Obbo stressed the need for concerted efforts by all stakeholders to empower youth through education and skills development as an essential element of stability and sustainable development. “Investing in Pakistani and Afghan youth equals to investment in resilience, stability and future prosperity of both countries,” he said while speaking at the inauguration ceremony of the Women Technical Training Centre in Loralai district in Balochistan. Mr. George Okoth-Obbo said that RAHA recognizes Pakistan’s longstanding hospitality towards refugees, and encouraged the international community to continue providing reinvigorated support to this initiative as a tangible demonstration of international solidarity and responsibility-sharing with the people of Pakistan for hosting the world’s largest protracted refugee population for more than 35 years. According to the UNHCR office, the RAHA initiative is aimed at supporting refugee hosting communities by provision of enhanced access to quality services in the sectors of education, health, water and sanitation, and livelihoods across the country. The Zhob division comprised of six districts was lacking a Technical and Vocational Education Training institute for women. The Loralai centre will now provide this much needed access to employable skills training for women, in line with national and international standards. UNHCR’s Assistant High Commissioner Mr. George Okoth-Obbo handing over Women Technical Training Centre completion documents to Secretary Labour and Man Power Hamid ul Karim at the opening ceremony in Loralai on Thursday. Under the project around 260 individuals will be trained per year in certified G-III courses. The training courses will be taught under the competency based training (CBT) curricula developed by the National Vocational and Technical Training Commission (NAVTTC) and recognized internationally. The target group of the training centre will consist of the female youth of Zhob division who have passed a specific education level. The Pakistan and Afghan graduates of the centre will join the local labour market as skilled workforce. He said since its start in 2009, some 3,500 RAHA projects have been implemented across Pakistan in the sectors of health, education, infrastructure, livelihoods, water and sanitation. Some 10.6 million people have benefited from RAHA projects, of which, 11 per cent are Afghan refugees whilst 89 per cent have been Pakistani citizens in refugee hosting areas. Balochistan hosts around 300,000 registered Afghan refugees, the majority of whom live in urban settlements alongside their Pakistani hosts. Under the RAHA initiative, UNHCR and Commissionerate for Afghan Refugees in Balochistan have, so far, implemented nearly 230 projects worth USD 20.3 million in nine districts, benefitting 3.4 million people. The RAHA programme is a major component of the regional Solutions Strategy for Afghan Refugees (SSAR) developed by Afghanistan, Iran, and Pakistan and UNHCR; and endorsed by the international community in May 2012. The Solutions Strategy for Afghan Refugees (SSAR) provides a predictable roadmap for joint interventions aimed at facilitating voluntary return and sustainable reintegration of Afghan refugees in Afghanistan, while simultaneously providing assistance to refugee hosting communities. The ceremony was also attended by Ms. Daisy Dell, UNHCR Regional Director for Asia and Pacific Bureau (RBAP), Mr. Johann Siffointe, Deputy Representative, and Head of UNHCR Sub-Office Quetta, Dinesh Lal Shrestha, Obaidullah Jan Babat, special adviser to the Chief Minister and MPA from Loralai, women MPAs, refugee elders and representative from civil society.